Active participation engages your brain and body, allows for the greatest changes which leads to a balanced state for your mind and body. 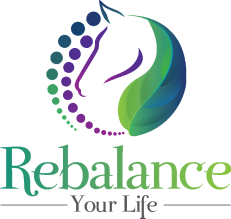 Combining Reiki and Horse Therapy has allowed a unique opportunity to anchor positive emotions that come from the round yard experience to settle into your body, followed by a relaxing Reiki session. Stress and Anxiety can play a big part in your daily life, by allowing your body to express your sensations during the Horse Therapy -(Round Yard Experience) rather than bury them deep inside you start to heal. When you bury your emotions without dealing with them, you may experience fatigue or even disease in your body. Through the connection with the horse, you will find your own peace and wellbeing with the emotion that is being brought up. This, followed by your Reiki session, relaxes your mind and body to be able to anchor the positive outcome into your body. Here, this powerful tool can help build your resilience to life's challenges. The stronger your resilience the greater your choice on how you react to events. This combined therapy is especially designed for women aged 35 and up. Highly recommended for those with limited energy.